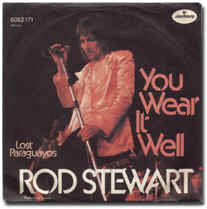 The focus of today’s ‘Take One’ feature is a idiosyncratic little ditty composed by Rod Stewart and Ronnie Wood and released by Stewart (in some countries) as the flip side to his 1972 number one hit ‘You Wear It Well’. ‘Lost Paraguayos’ is a humorous narrative set to the quintessential and solid instrumental backing group Stewart used exclusively at the time. 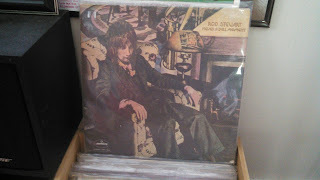 The song is available as an album track on side A of Stewart’s classic 1972 solo LP Never a Dull Moment. The song spotlights the deft arranging talents of Stewart and showcases the usual Stewart suspects, Micky Waller on drums, Stewart collaborator Martin Quittenton on acoustic and of course Ronnie Wood on guitars and bass. 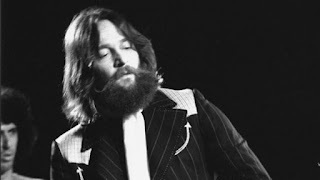 Stewart’s compositions often had a unique folk thread running through their foundations and this track concentrates on Stewart's blending of both pastoral folk elements and pub rock. His vocals can never be doubted in this era and this track allows for argument that he was the best rock vocalist of the time. A ticklish acoustic filigree begins the song with the campfire accompaniment of a solitary tambourine. The song bobs around expectantly with Rod sweetly laying out his reasoning for abandoning his overnight love. Stewart first lists what he likes about his lady before initiating the litany of reasons she can’t join him on his journey. Stewart sings to his female companion with buzzed buoyancy, explaining to her that the inclement weather is bringing him down and he must be on his way to some ‘South American sun’. He admonishes his lady friend that she’s too young to come with him, she may cause him trouble and that ‘she sure don’t look like his daughter’. The story follows a pebbled road to camp but will soon find its way to the expressway as Stewart plans his musical getaway. Stewart’s marvelous vocals are made more enjoyable by his suspiciously hearty laughing the follows the lines ending with, ‘Ya know I wouldn’t tell you no lie’. The brisk rustic strumming works in conjunction with the eavesdropping nature of the narrative, coloring a wonderful scene developed as well through Stewart’s lyrical humor and the sympathetic instrumental arrangement. The songs humble beginning in a contemporary folk setting patiently shifts to exuberant rocking and rolling by the halfway point. The contrast between the ‘shade’ of Stewart's current situation as opposed to his eventual destination of fun and sun is the crux of his debate with the unseen lady of the song as well as the basis of his many excuses to her. The changes of Stewart's emotional state are reflected by the developing instrumental dynamics that take place throughout the duration of the track. A sunny water front mid song guitar breakdown following the fist verses elicits the big ‘bang-bang’ drums and bass that enter for the third verse. Woody, in the sneaky way that made him famous begins to play a beautiful muted counter melody on bass under Stewart’s ascending and now urgent vocalizations. 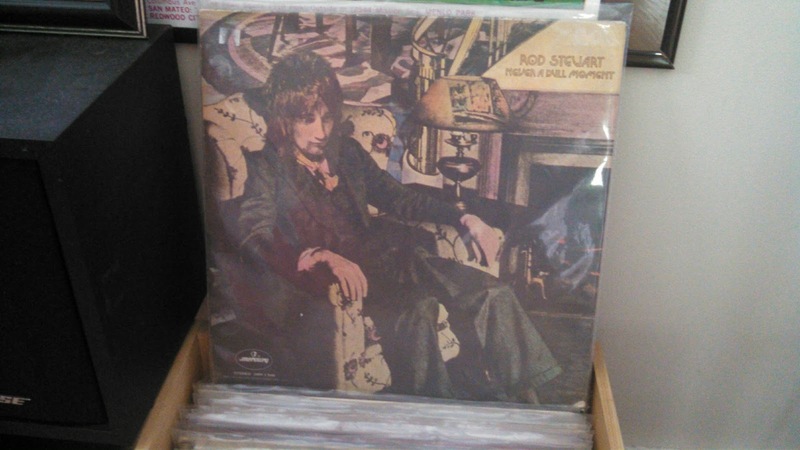 The layered acoustic guitars exude vibrant tones that bring to mind other legendary and helplessly catchy Stewart tracks from the era, ‘Maggie May’ and the ‘A’ side to this song ‘You Wear It Well’. The song's anxiousness continues to increase as I can envision Stewart already has one foot out the door and one eye on the Southern reaches. A Mexican Banda joins in on swelling horns as Stewart bids ‘farewell’ in a series of excited vocal exclamations. Woody catches up from behind on electric guitar and offers the street musicians a descending melody line played in perfect, yet gently contradictory time to the horn licks. The clear blue guitar line reminds me of the introductory Chuck Berry ’Sweet Little Sixteen’ lick, but placed in a brand new context. The song soon reveals a huge fadeout reaching the crest of a musical arc as bottles pour, the breeze blows and the celebratory destination of the sun is reached. Stewart reports lyrically, ‘Good Bye honey, it aint' funny’ on the fade, while a dusty street dance has been initiated and glorious musical independence has been achieved. The bass is particularly active here and a gold star must be offered to Woody for his assistance in composing the multitude of melodic interplay the dresses the songs framework. 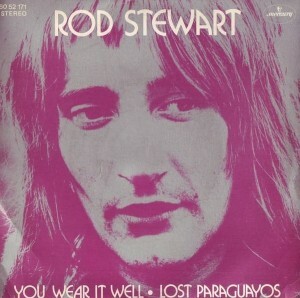 Rod Stewart’s 1972 track ‘Lost Paraguayos’ is not only an ace album track and ‘B’ side, but a testament to the strength and wealth of material available to Stewart in what must be considered his finest era. The early 1970’s find Rod Stewart as an artist at the top of his game and releasing quality music as a solo artist as well as with the ‘Faces’. ‘Lost Paraguayos’ encapsulates the direction of his music at this time and highlights its most attractive elements in a well thought out and perfectly arranged pop number.